A pilgrim walking the Camino de Santiago describes in his book ‘Journey of a Stickman’ observations and experiences during his summer walk from Fromista to Finisterre and his subsequent pilgrimage from Roncesvalles to Fromista, which he completed in one of the coldest winters in Europe. His thoughtful images and reflections during the lonely hikes for days and days along the Camino, and his encounters with other pilgrims during his overnight stays in albergues, form the second theme of the manuscript. The third theme records historic events, from pre-history to the Middle Ages. Whenever stimulated on the Camino to Santiago, the author makes reference to the Catholic Church and monasteries, the Moorish occupation of Spain and inquisitions involving the Cathars, Knights Templar and others. Prompted by archaeological excavations along the way, the author also reflects on the development of humanity. The three principal themes, the diary – reflections of a pilgrim, culminating in views of a life with greater awareness – and history, are seamlessly intertwined in ‘Journey of a Stickman’. Often they are described in a light-hearted way. Interwoven with parables and humorous stories. They form an interesting read which may enhance the experiences of future pilgrims on their walk along the Camino de Santiago. 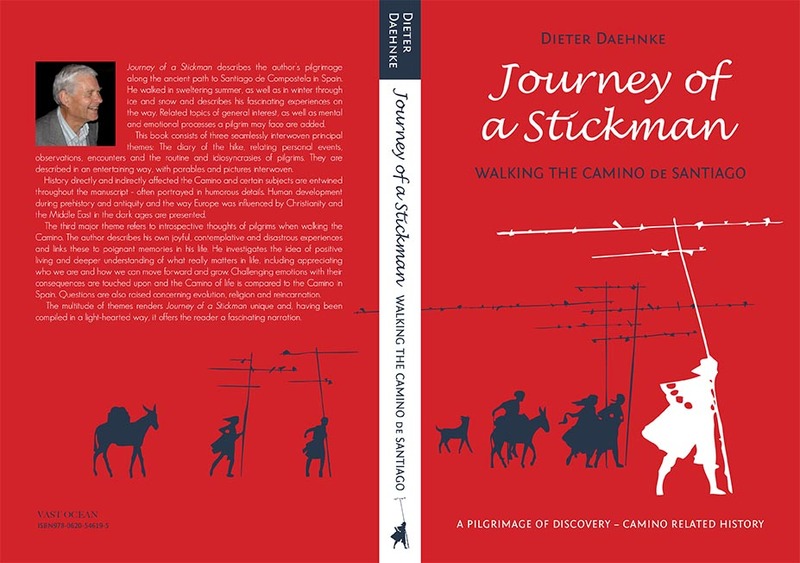 ‘Journey of a Stickman’, with all it’s diverse subjects, therefore stands apart from other Camino publications.